The price stated on this property is the assessed tax value (as a guideline). This property is being sold at public auction on Thursaday, November 15, 2018. Auction begins at 5:30 p.m. This property may sell for more or less than the assessed value, depending on the outcome of the auction bidding. Well maintained 5,500+ sf church currently known as Plum Tree United Church of Christ. Property Features: kitchen/gathering area, nursery, Sunday school room and 20+ car parking gravel parking. 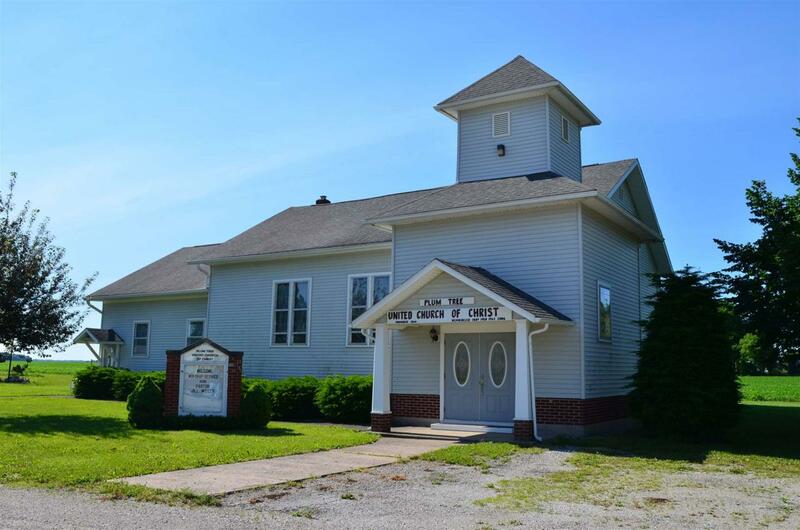 Located at the corner of SR124 and 300E, this property is 10 min from downtown Warren & Markle Indiana and 15min from downtown Bluffton, Indiana.